Jar Jar doing manual labor, where he belongs. Apparently, his actual name is Cosmo. 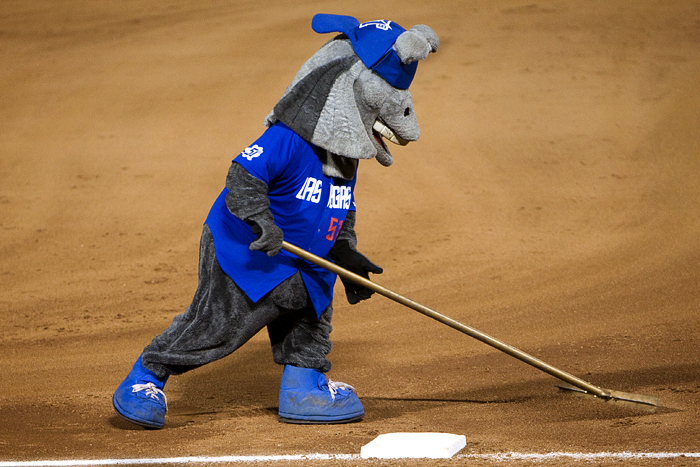 He is the mascot for the Las Vegas 51s minor league baseball team. I can just imagine how hot it is in that costume In July. Gotta love Cosmo. This may be the last year if they rebrand the 51s concept.